Dr. Steven Pike demonstrates how much toothpaste to use on your child’s teeth and at what age and how often you should brush their teeth. People often ask us what type of toothpaste should they use for their children, at what age and how often? These are great questions and they are very important to maintaining healthy teeth in your children. We recommend that you use a fluoride toothpaste. You should do this roughly around the eruption of the first tooth or somewhere around the age of one year old. Brush morning and night, two times a day, everyday. Another important thing to consider is the amount of fluoride toothpaste. For kids ages 1-3 use just a tiny bit, like a grain of rice. We are talking just a tiny little bit and at such a small amount they can swallow the whole thing, you don’t have to worry about spitting it out, and it will be safe and beneficial for the child. After the age of three you can use a little bit of a bigger amount of toothpaste. From that point on you use about a pea sized amount of fluoride toothpaste. So, brush away parents! If you have any questions about this, please feel free to schedule an appointment or send us an email. We would love to talk with you more about this. Creating good brushing habits with your child is important. We hope these tips have helped, but if you have additional questions, you can always call or email our office. 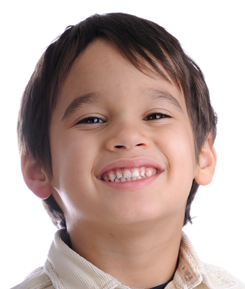 We are a Portland pediatric dentist serving families and children throughout the metro area and Beaverton, Oregon.